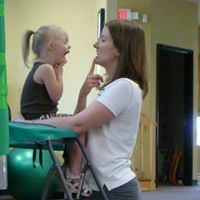 ABC Pediatric Therapy - Why Get Help Now For Speech and Language Concerns? ABC Pediatric Therapy - Why Get Help Now For Speech and Language Concerns? Why Get Help Now For Speech and Language Concerns? Speech Skills involve our ability to communicate our wants and needs to others. In order to communicate, we need to say the correct words, with the correct sounds, as well as understand what others are saying to us. Our speech skills are very closely related to our feeding skills because the same muscles are used for both. These skills develop quickly throughout our growing years. Proper development of speech skills requires strength, coordination, postural control, attention, and cognition. It also requires appropriate function of our sensory system. Speech skills are very important to a child’s overall development, health, learning experiences, and self-esteem. Developing independence with speech skills at an early age is crucial to school performance and social interaction. Speech skills allow a child to express their basic wants and needs. Skills necessary for eating are important for nutrition and overall health. The human body follows a step by step process, where one area often relies on another to achieve full function. Each milestone that is achieved throughout the first years of life is dependent on the one that came before it. To be able have a conversation, we must first learn to put two words together. We need to learn how to produce a sound before we form full sentences. We need strong muscles in our mouths to eat healthy fruits and vegetables. The body goes through a complicated movement process. If a child is not achieving a milestone within a reasonable time frame, it is important to ask questions and seek out guidance right away because the next set of skills is coming up fast. The longer you wait, the further behind the child will fall. The earlier an intervention is provided, the more effective it can be.